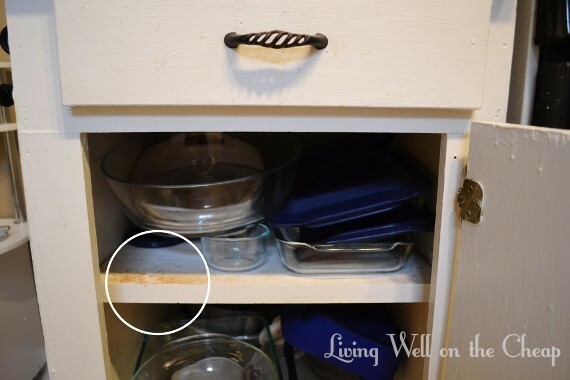 When I first started talking about updating my kitchen one of the things I mentioned was that the two drawers next to the stove, especially the one on the left where we keep our silverware, had seen better days. If this set of cabinets is not original to the house they’re at least really, really old and this drawer in particular left a smattering of sawdust in the cabinet underneath every time it was opened or closed. You can see it circled in this old photo. 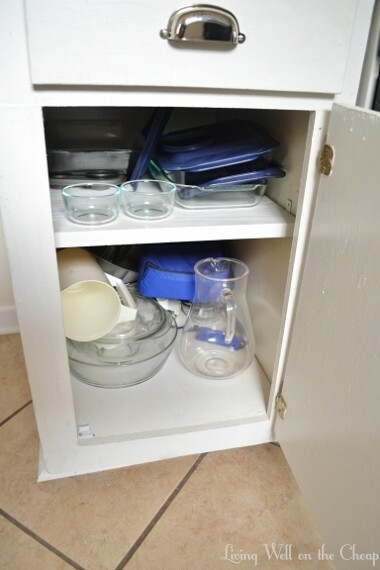 I figured that I’d need to replace the drawers altogether, but a reader commented on that post suggesting some sort of nylon tape that solved a similar problem in her kitchen. A few weeks later I got around to looking and found a similar product on Amazon** (I have a Prime membership so I try to stick to items that are eligible for free two day shipping and the one she linked to wasn’t). It arrived with absolutely no instructions, but we figured it out through deductive reasoning and common sense. We just emptied and removed each drawer, then peeled the paper backing from the tape and applied it to the underside of the drawer where it made contact with the slides. The tape is clear but if you look closely you can see it in the photo below. And over a week later: no sawdust! I’m so glad I was able to solve this problem without having to replace the drawers! Thank you so much, Mary, for suggesting it as I’d never heard of such a product. The only catch is that I had to buy 18 yards of it and I only used maybe two and a half. What should I do with the other 15 yards? Preemptively tape every drawer in the house? If you’ve got some drawers that could use a little rehab contact me and I’ll send you some. I’m 100% serious–you just pay shipping. I don’t want to throw the stuff out but I really don’t want to hang onto it for years hoping I’ll use it someday either. **Amazon affiliate link. If you click on that link and make a purchase I will receive a small portion of the proceeds at no additional cost to you. Wow, you literally have perfect timing! My fiance and I just moved into our condo last weekend – first-time home buyers – and our kitchen drawers slide really poorly. 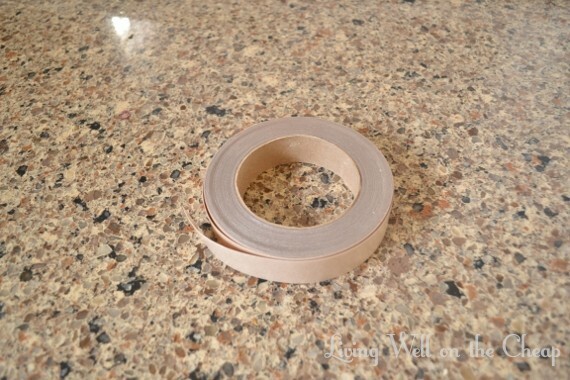 Do you think this tape would help with the feeling of glide against a wood track? It’s just wood built into the sides of the cabinet, with the drawer having grooves that go into it. When a drawer is really loaded up with silverware, it sure gets heavy – they’re extra-wide too. We just figured we’d have to upgrade the sliding mechanism all together sometime down the line, but this sounds great! And I’d love to take the tape off your hands, if you haven’t already given it to someone! I think it would work great for that purpose! I’ll email you. Good and inexpensive idea. I learn something new every day! I can’t take credit for the idea! Wow! I had no idea. We have the exact same problem. Thanks for sharing this tip! I have 3 old dressers and the drawers will not slide out , you kinda have to wiggly them to get them out, could u use it on them? Perhaps! I think it depends on where exactly they’re sticking and whether you can get tape into those spots. It’d certainly be worth a try. Want me to send you some? After living with it for 30 plus years I’m ready to try this tape! Let me know if you still have some. If not, I will order from Amazon! Thanks again! The tape is long gone, but I definitely recommend ordering some! Thanks for the helpful writeup. I wasn’t real keen on having to buy new drawer slides to rehab an antique dresser I just bought. This sounds like a great alternative and something I’ll actually get around to doing!